Our venue hire for a weekend wedding starts on a Thursday at 10am and you have free access until the following Monday morning at 10am, allowing you to create your space and then clear up afterwards. This is strictly for one nights use of your choice, we do not allow 2 nights of frivoities! Please see our calendar for availability. Our price includes use of the barn facilities including long tables and benches, heating if required, as well as use of our bar, the fully fitted kitchen and an on-site two bedroom self catering cottage (Friday to Monday only). 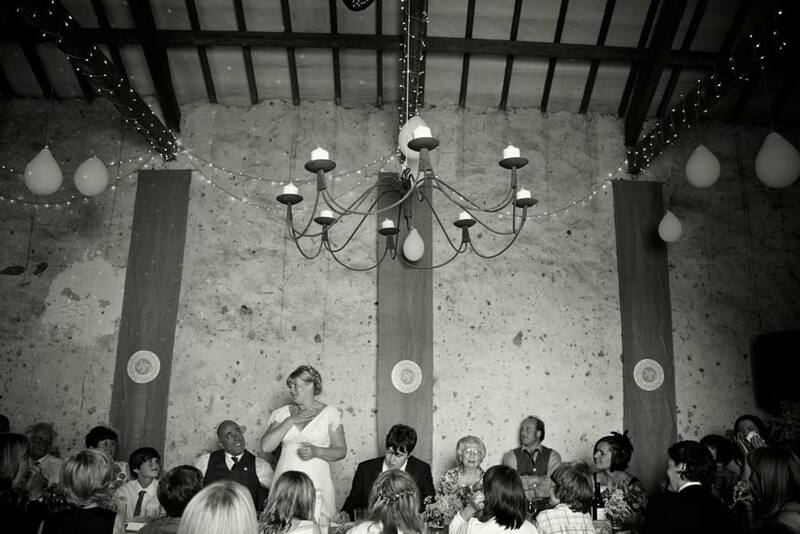 Bickham Barn is available to book any day of the week for events. Venue hire starts at 10am and finishes on the following day at 5pm. Please see our calendar for availability. Our price includes full use of the barns facilities including long tables and benches, heating if required, as well as use of our bar and the fully fitted kitchen. Should you have any specific requirements please let us know and we’ll do our best to help. If you would like anything else including fireworks, camping etc. please ask. Bickham Barn is fully covered for every eventuality. If you have specific insurance requirements please let us know.